Map of the Hongkong and Lilong mission areas. Map of the Canton Province districts of Tunkon, Sinon and Kwuisen, including the British colony Hongkong. The northeastern part of the Southern Chinese Province Kwangtung (Canton) with the mission stations of the Basel, Berlin and Rhenish (Barmer) missions. General map of the region worked on by the Basel Mission in Canton Province, China. Description: China, Kowloon and part of New Territory, [G.S.G.S.] no. 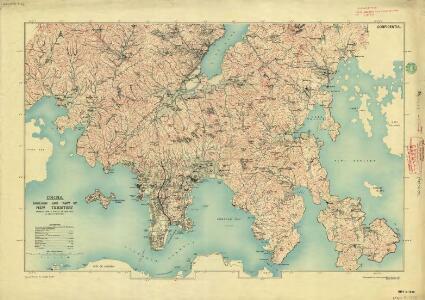 2100 : reduced from a survey in 1902-1903 / by Major H.S. King R.E.